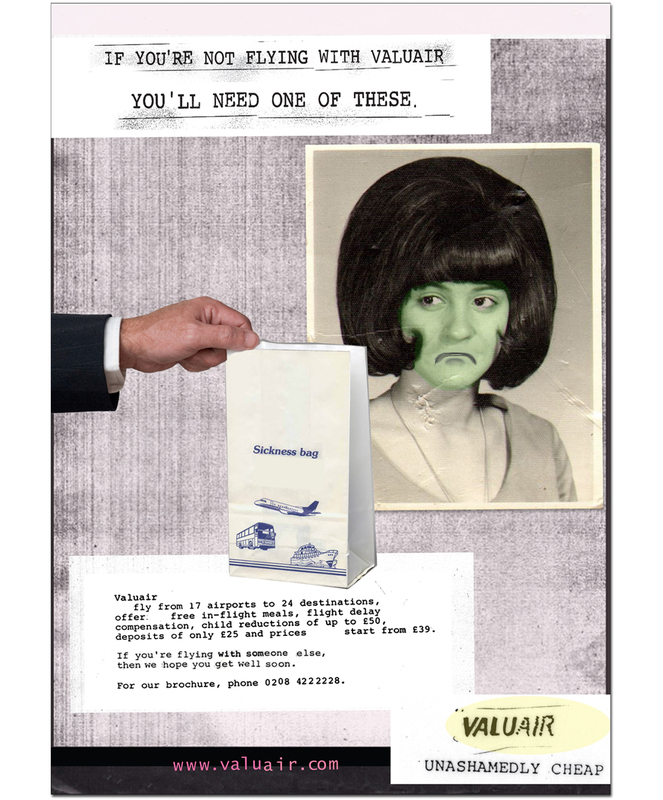 Aimed at anyone on a tight budget, these press ads take the concept of cheap flights to the next level. Responsible for: concepts, copywriting and art direction. 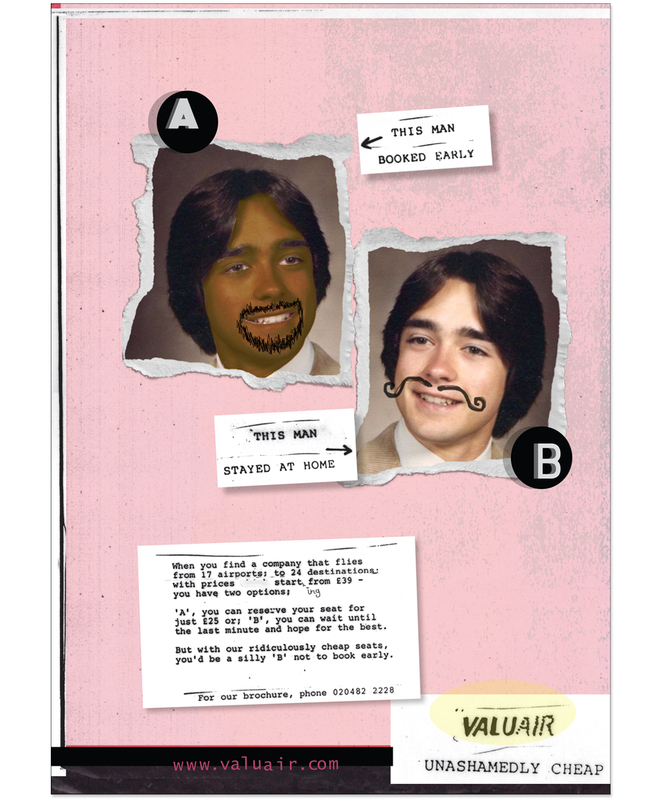 Valuair – concepts, copywriter and art director. 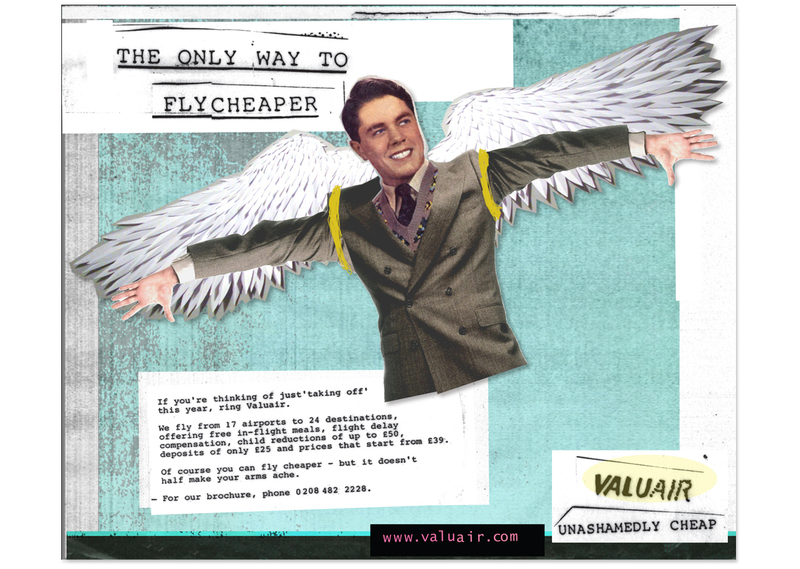 Valuair offer a host of product benefits, but the most important is in their name – VALUE. This press campaign is aimed at the student and young traveller markets, where price comes before anything else. We established the strapline ‘Unashamedly Cheap’ and the art direction wholeheartedly embraces the concept – long live the brave client!